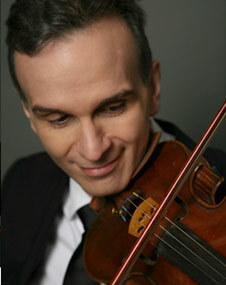 For violinist Gil Shaham, music-making often is a family affair. Whether giving recitals with his pianist sister Orli, or producing a recording featuring his wife, Australian-born violinist Adele Anthony, on his own label Canary Classics, or happily attending to the needs of his two-week-old son, his third child , Shaham is basically a family guy. 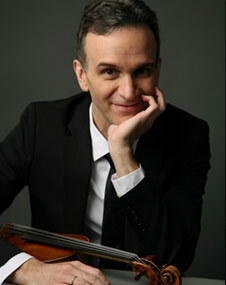 But Shaham, who at 40 ranks as one of the foremost violinists of our time, is not quite your average dad. A multiple Grammy Award-winner and recipient of both an Avery Fisher Grant and an Avery Fisher Award, he’s given recitals and appeared with orchestras in nearly every concert hall in the world. At least one family member appears with him wherever he goes — his 1699 Countess Polignac Stradivarius, once owned by the alleged mistress of Benjamin Franklin while he was America’s first ambassador to France. When Shaham appears at the Williams Center on Wednesday with the Orpheus Chamber Orchestra to perform Brahms’ monumental violin concerto, he’ll also be revisiting family of another kind. “Whenever I play with Orpheus, I feel like I’m playing with a group of old friends. Some of these musicians I grew up with and have known for years. I look forward to being with them as much as making wonderful music with them,” says Shaham from his Manhattan home. Shaham will be playing with many of the same Orpheus musicians he played with nearly 18 years ago at the Williams Center, in a stunning performance of Vivaldi’s FourSeasons. Shaham was born in the United States, but from age 2 spent his early years in Israel — his parents, both scientists, had been in the United States to study for doctorates. He started playing the violin at 7. At 10, he made his concerto debut with the Jerusalem Symphony Orchestra and soon afterward with the Israel Philharmonic. 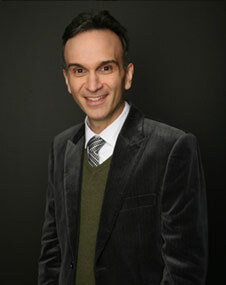 After his family moved back to New York in 1982, Shaham enrolled in the Horace Mann School in Riverdale, N. Y. (the model, he just discovered, for Riverdale High in the “Archie” comic strip), and attended Juilliard on weekends. There he studied under Hyo Kang and Dorothy DeLay, the teacher of many leading artists, including Itzhak Perlman and Sarah Chang. Not quite so normal for Shaham, as it turned out. In 1989, during an English class, he got a call asking if he would be able to replace an ailing Itzak Perlman, who had to withdraw at the last minute from a series of concerts with the London Symphony Orchestra because of an ear infection. “I remember being on the phone and thinking it over for about a millisecond. It was a choice of going back into the English class or heading for the airport,” Shaham says. 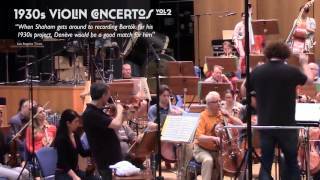 Shaham flew to London and to the first rehearsal with conductor Michael Tilson Thomas. The success of the concerts changed the 17-year-old’s life, and he’s never looked back. Soon he was giving 200 concerts a year, although now he’s cut back to about 50 a year because of family obligations. 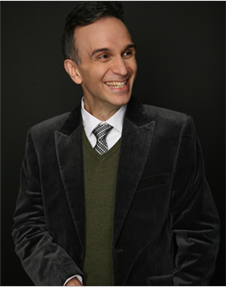 In a typical concert, Shaham will combine the new with the traditional, as he did recently at the 92nd Street Y, where with his sister he performed a concert of traditional Jewish melodies along with “Niggunim,” a new work commissioned for him by the Israeli composer Avner Dorman. Shaham’s love for music goes beyond mainstream, which is one reason he founded Canary Classics in 2004. The violin works of Barber, Korngold and Dvorak are sufficiently marketable to keep Deutsche Grammophon, his former record label, happy. Other Canary recordings include an entire disc devoted to the violin works of Pablo de Sarasate, and an ambitious project exploring the violin concerto masterpieces from the 1930s — his chief performance project this season. “There is an amazing confluence of concertos by great composers — Barber, Prokofiev, Schoenberg, Berg, Hindemith and many others, written in the years from 1931 to 1939. They are so different and so diverse that it seems astonishing they should all have come into being in the same brief period,” Shaham says. Undoubtedly, a part of the sweet-toned warmth that Shaham gives to whatever he performs comes from his instrument.